I know that the World Championships and the Olympics are the pinnacle of figure skating prowess, but to be honest, this weekend might just top them all when it comes to a figure skating fan. Not only are the U.S. 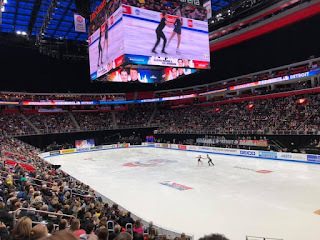 Figure Skating Championships taking place in Detroit, the European Championships are also taking place in Minsk! We viewers get to enjoy double the axels, flips, and toe loops, plus the double rolling of our eyes at yet another interpretation of Carmen or The Phantom of the Opera (seriously, Alina Zagitova, don't you know there's way better soundtracks of TPOTO out there instead of the film version?). 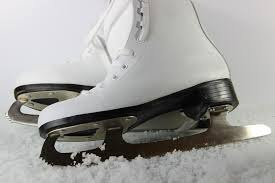 This weekend is a special treat for me, because I am able to go to Detroit and attend the free skates for both ice dance (Saturday) and the men's (Sunday) competitions! I'll be posting about my experiences tomorrow and next week. There will probably be some video included!